Very nice 2 bedroom, 2 bath mobile that has been totally refurbished. Looks like brand new. Sits on .69 acre on Hwy 66 business frontage. Includes a big 6 car garage that is 1344 SQ FT. Zoned for residential and commercial. 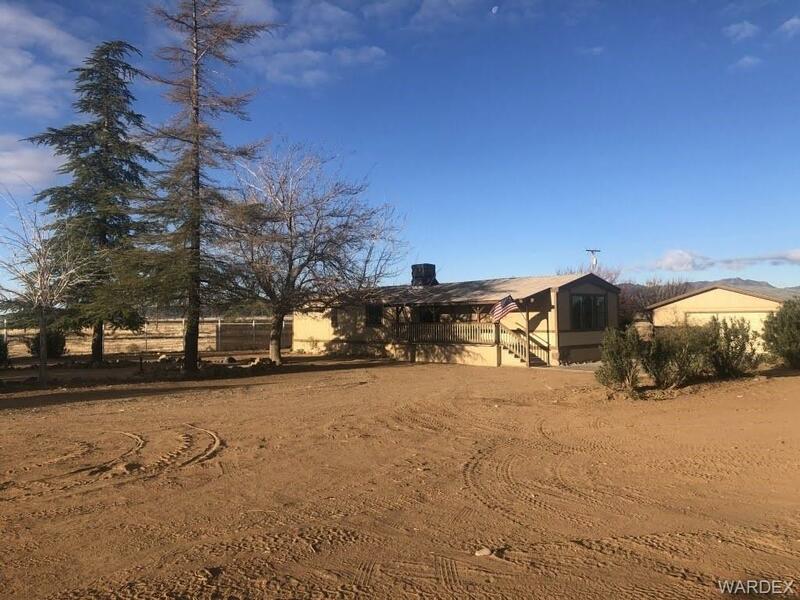 Your backyard is adjacent to a huge ranch that you may have access to. No close neighbors. The house is sheet rock inside and on the ceiling. The house sits on a solid concrete footing from end to end. It has a new roof, new decking, new porch. There is new flooring inside including ceramic tile and a special material in the kitchen. New oak cabinets, new stove and microwave and real granite counter tops. New under counter stainless sink. The water heater is only a few months old. Furnace was replaced only a few years ago. The cooler on the roof is new. The baths have new fixtures, new toilets, new sinks, new linen closets, new granite counters, new tile floors, new lights, new tub. All lighting is LED. The front porch is a great place to have coffee in the mornings, watch the birds and sunrises. Truly a must see.